I would agree with Purl’s assessment of this blog; the subject matter is always a little different. I write about what is in my heart on a daily basis. We all find enjoyment in different things in our lives, so I try use my intuition to steer me in knowing what others might find appealing and interesting in the arts and humanities field. Perhaps All Things Fulfilling could be described as my vision board for committing to and exploring possibilities for creating a lifestyle filled with heart and soul. I use my emotional energy to help others follow their hearts desires to do what makes them happy in their careers and find personal fulfillment in their personal lives. So, I’m going to put Purl’s next (3rd) Milford-Haven novel on my vision board, and I’ll let you know when it is available. Did you know Mara Purl is now a national best selling author of women’s fiction? 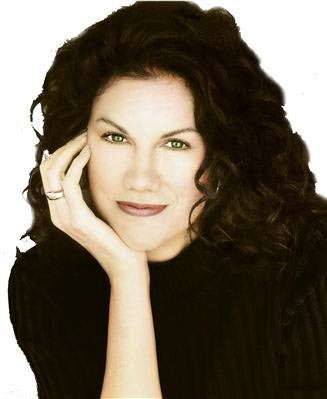 Visit us tomorrow on All Things Fulfilling.This blog is brought to you by Sue Batton Leonard, author of Gift of a Lifetime: Finding Fulfilling Things in the Unexpected and www.CornerstoneFulfillmentService.com. 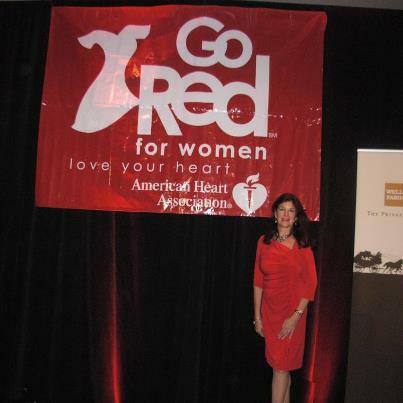 Last week when I was interviewing Mara Purl, author of What the Heart Knows and Where the Heart Lives we spoke about her recent keynote address for Go for the Red event, sponsored by the American Heart Association. 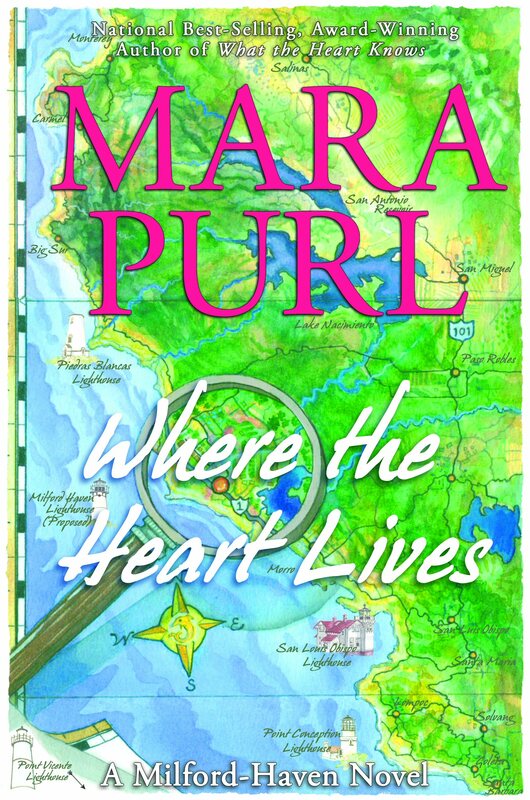 In Mara’s story “Where the Heart Lives,” the protagonist makes a geographical move, based on a “heart” decision. This decision has implications that changes her life and the focus of it. For more information on Mara Purl’s books, <a target=”_blank” href=”http://www.amazon.com/s/?_encoding=UTF8&camp=1789&creative=390957&field-keywords=mara%20purl&linkCode=ur2&rh=n%3A283155%2Ck%3Amara%20purl&tag=allthinfulf-20&url=search-alias%3Dstripbooks&linkId=JAPOA45PHI7EE76U”>Click here</a><img src=”https://ir-na.amazon-adsystem.com/e/ir?t=allthinfulf-20&l=ur2&o=1&#8243; width=”1″ height=”1″ border=”0″ alt=”” style=”border:none !important; margin:0px !important;” />. The events of Hurricane Sandy, reminds us of how life can turn on us at a moments notice, dealing nasty,long lasting blows. Unfortunately, individuals sometimes forget to take the time to interpret signs and signals that tell us it is time to slow down and heed the warnings along the path of life. What a gift life is! It is up to us as individuals to honor the life we have been given by taking good care of ourselves through healthy diets, regular exercise and by avoiding addictive behaviors – such as overindulging in food, alcohol, and other risky behaviors. Maintaining healthy personal relationships helps us to be mentally and spiritually fit. What kind of listener you are? Head or heart? Do you listen to what your heart is telling you? Today’s blog is part 2 of my interview with Mara Purl, author of the Milford-Haven series. The second book, Where the Heart Lives was the subject of yesterday’s blog. Please scroll down to read it. Sue: Mara, I’d like to talk with you for a few minutes about books, in general, and what, if any, shift you have noticed among readers in recent years? Mara: Readers know what they like to read, and with people being so busy these days, I think people are looking for more specific categories of books. Rather than just say, general fiction, they are looking types of fiction such as women’s fiction or family sagas or romance. My books are categorized in all three. Authors are offering free sample chapters of e-books, prequels that are free, and 99 cent e-books which allows readers to venture into trying new genres and new authors they otherwise may have never discovered. Short stories had been diminishing in the marketplace, and with the arrival of e-books, they are making a return. Serial story telling has also had a resurgence. Because of space constraints, in the past, booksellers have been hesitant to carry whole series of books; not wanting to take up too much space with just one author’s books. With e-books, there is not that concern of taking up too much shelf space. Thus, readers have the ability to read a whole series from beginning to end. Collecting and reading an entire series presents no constraints in storage in electronic (e-book) format. For fans of books that bring the reader through a chronology of generations, such as Louis L’Amour books, e-books can be very useful way to fulfill the readers desires to collect an entire series without having to find space to store them in their homes. Sue: I have noticed your wonderful newly redesigned website. There are all kinds of fun things for your readers on the site, including jewelry for fans of the Milford- Haven Books. Tell me what it has meant to you to follow the spirit of your character, Miranda Jones, and use your artistic expression to take your creativity in a new direction. Mara: Women love jewelry, and I have noticed that stories go along with jewelry that women wear. Women say, “oh, that necklace or bracelet was given to me by so and so, or it used to be my grandmothers, or I got that piece of jewelry when……” I thought that women may like to collect jewelry that will remind them of the Milford-Haven books they have read. As a talisman or reminder to listen to the heart. So, each book has a different shell “dingbat” (an ornament, character or spacer used in typesetting) and each will be available as a charm and can be collected for bracelets. The first book What the Heart Knows has a heart cockle shell “dingbat” in it, and then the 2nd book in the series Where the Heart Lives is a placuna shell, (called a windowpane oyster) which is a marine bivalve that is flat and translucent, in shape). Sue: Where can these charms and bracelets be purchased? I will put a link to your newly designed website for our readers, and people can keep their eyes open for them as an upcoming product. Mara’s Blog site www.marapurlcom. Link to Milford-Haven book charms on Pinterest http://pinterest.com/marapurl/. Mara: Yes, they are still in the development phase by a jeweler in Colorado Springs, but once available, they can be shipped anywhere in the world and if you go to my newly redesigned website, there is information. Sue: Mara, I appreciate so much the opportunity to interview you again. I am so pleased at the success you are having with the Milford-Haven series. When will Bellekeep Books publish the third in the series When Hearts Keep Secrets be available? I look forward to reading the next book. Mara: Look for When Hearts Keep Secrets in 2013. Probably in autumn of the year. Also, the e-book “When Whales Watch” the prequel to the second book is available through Amazon. This blog brought to you by Sue Batton Leonard, author of Gift of a Lifetime:Finding Fulfilling Things in the Unexpected and www.CornerstoneFulfillmentService.com. The following is part 1 of my interview with author Mara Purl this morning. If you missed my interviews with Mara when her first book was released, please scroll down to yesterday’s blog. There are links that will take you to them. Sue: Mara, we are honored to have the opportunity to interview you again on All Things Fulfilling. This time I’d like discuss your new book, the second Milford-Haven novel, Where the Heart Lives. http://bit.ly/SunF8d Congratulations on the success of Book One What the Heart Knows and it’s ranking of #5 on the Amazon best seller list as well as its finalist status for Book of the Year. Also, congratulations on the success of your short story e-book, When Hummers Dream, the prequel to the first book of the series. Sue: Over the past years, there have been many people who have had to take a look at their own lives due to the job market, and in some cases, they’ve had to change geographical locations for new or different professional opportunities or even to rebuild their life. Your protagonist Miranda Jones makes a difficult personal decision to move from city life (San Francisco) to a small coastal town (Milford-Haven). She pursues her artistic endeavors from what many may see as a more limiting environment. How do your characters help your readers examine their own lives and decisions? Mara: Our culture typically focuses on using logic and intellect to make life decisions, (both big and small). We tend to choose what feels “safe” and the steady path in life because we make decisions based on external rather than internal “intuitive thinking.” Mentors such as Joseph Campbell , whom I worked under at Open Eye Theatre, along with Jean Erdman, http://bit.ly/S9vmhK tell us to “follow our bliss.” This can be difficult to do because it tends to be different than the way our culture views things, usually not part of a normal career path. Those that decide to do something because it “feels good” can be opening a crack into what leads to our own fulfilling path in life. People who work in the arts use a life-long practice of listening to their hearts and intuition. It may go against logic but it what they do is personally fulfilling. My characters in my books either reject this idea of “doing what you love” or they decide to be authentic to themselves, and decide to go against logic. In the case of Miranda Jones, she is at odds because she is a wildlife painter, yet, she is living in a city and in order to observe wildlife, she needs to escape city life. Ultimately, she settles in the coastal town of Milford-Haven against her manager’s advice and against her parent’s wishes. But, she creates a sense of home and connection with nature in Milford-Haven. Many of my characters feel conflicted between what their heads and hearts are telling them, which gives the reader permission to examine their own core beliefs and think about how they live their lives. In this current economy, people have been forced to think more about making decisions using intuition and they have learned that the secure path they’ve lived may have been an illusion. 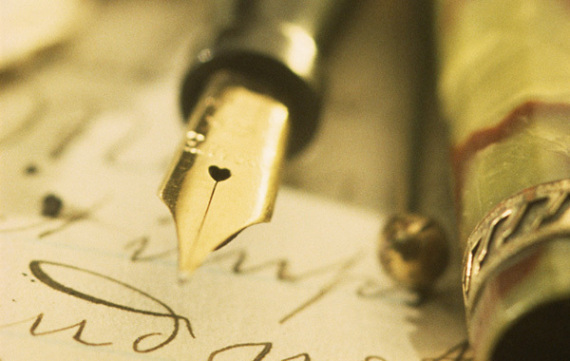 Sue: Is what you write based on experience or do your storylines bring realizations to you? Mara: Both, my experiences and internal direction help craft a story. I don’t feel comfortable if everything I do is based on the external. There is a spiritual component that leads me- beyond intelligence. Many years after I began writing about the town of Milford-Haven which is based on a town in Wales, I found out that I had relatives in that part of the world. It made me realize that I was doing what I was supposed to do. In doing my research for the third book, I was unable to locate an expert that I wanted to talk to about the architecture of oil rigs. One day, I got on a very crowd flight and sat next to a man and our conversation led to what we did for a living. As it turned out, he designed off shore oil rigs. He drew pictures for me, and I got exactly what I needed to continue the story for the third book. Return tomorrow to the blog of Cornerstone Fulfillment Service, LLC www.AllThingsFulfilling.com. We will be continuing our conversation with Mara Purl about a shift she has noticed in books people read. We will also discuss how Mara has been able to take the spirit of her character, artist Miranda Jones, and use her own artistic creativity to come up with a reminder for her readers of what they have learned and perhaps the decisions they have made for themselves in the reading of the Milford Haven Series. This blog brought to you by Sue Batton Leonard, author of Gift of a Lifetime:Finding Fulfilling Things in the Unexpected . Good Morning! I am preparing for tomorrow’s blog – a special interview with best selling author Mara Purl. Many of you may remember our blogs about What the Heart Knows, book one of the Milford-Haven series . We are so excited that Mara’s promotions company contacted us a few weeks ago to request that All Things Fulfilling be part of her blog tour again for her 2nd book Where the Heart Lives. An astounding 17 million readers followed All Things Fulfilling and the other blogs that participated in the blog tour for book one. 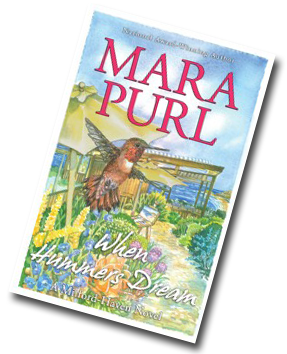 If you missed out, here are links to our previous blogs about Mara Purl as a published author of her Milford Haven series. 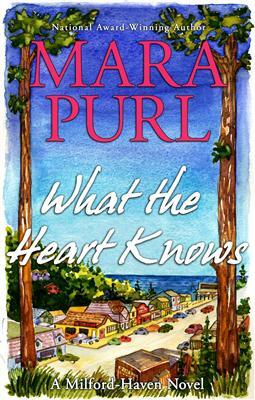 Mara’s book one What the Heart Knows is an Amazon best-seller (ranked #5) and a finalist for the Book of the Year Award. Her prequel short story When Hummers Dream (also a best seller) was nominated for the Global e-book award. Please return tomorrow. Mara is guaranteed to have some interesting things to say about book two Where the Heart Lives. 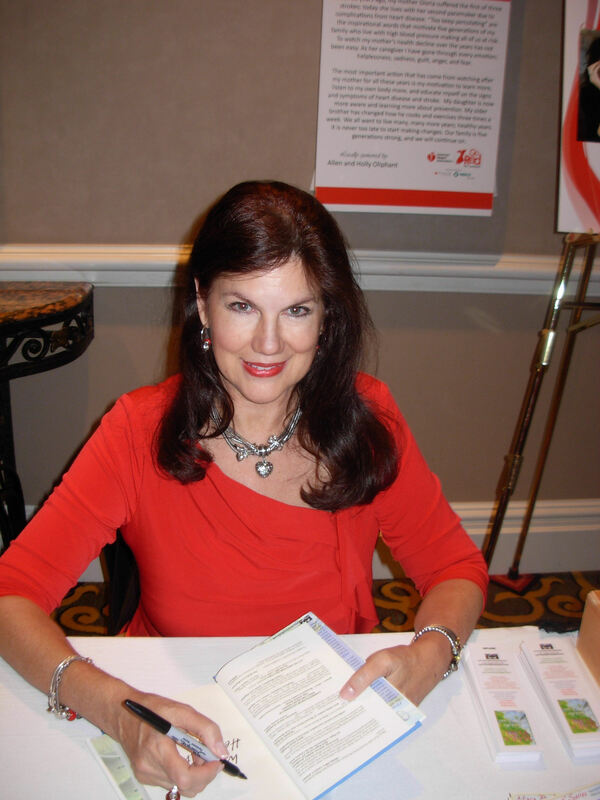 As a former soap opera actress who played the part of Darla Cook, R.N. on Days of Our Lives, Mara is well versed in telling and writing award-winning stories that reach hearts of her readers. The Heart Knows A Winner! Days of Our Lives actress Mara Purl and author of “What the Heart Knows” has had admirable reviews of her women’s fiction novel that was released in October. 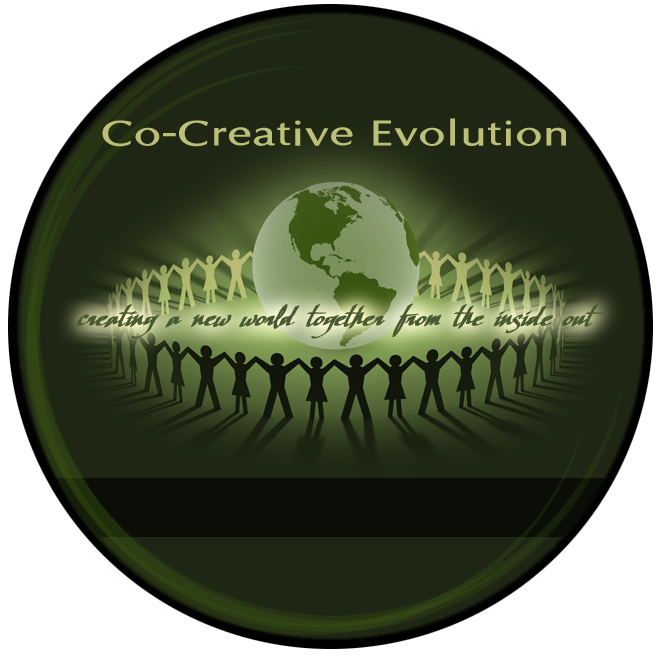 In honor of 11-11-11, Mara has created a contest that you can join in on, free of cost. What are the perks? The chance to win a Kindle Classic e-reader or a free e-book. 3- You will receive an e-mail with a downloadable link for a free copy of the e-book “When Hummers Dream” if you are one of the first eleven to respond. receives a FREE CLASSIC KINDLE! 2 – E-mail a copy of your receipt to Kara@BellekeepBooks.com as proof of purchase. 3 – You will receive e-mail notification you’re the WINNER and get the details of how to receive your new Kindle! For more information on the Milford Haven Books, please visit http://on.fb.me/eK4i3b. Mara has created this contest because she has alot of heart as an author and as a human being. Her inspiring books are full of more of the same! Good luck and you can’t win if you don’t play! Happy Reading and Writing. 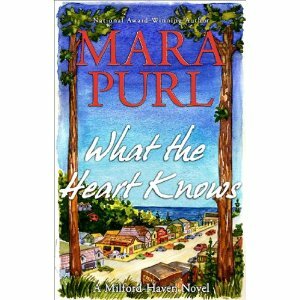 Last month I had the pleasure of interviewing author, screenwriter, performing artist, journalist and songwriter Mara Purl about her book “What the Heart Knows.” Her hardcover is slated for release on September 27, 2011, about a week from now. For each blogger who was a part of Mara’s month-long virtual book tour, she reciprocated by blogging back about each blogger’s site and it’s focus. As a blog writer, I know the intense work that that takes! “Bringing my customers to the world. Bringing the world to my customers” is the blog site theme that Mara Purl has associated with our company blog site, All Things Fulfilling. She hit the mark – that is the aim of our company, Cornerstone Fulfillment Service, LLC! To read the entire text, please visit http://bit.ly/okpGOL. I would be presumptuous if I thought that Mara’s quote applies only to a company that specializes in e-commerce and e-marketing for independent publishers. From my perspective, the goal of every author and blog writer in the literary world is to bring your customers (your readers) to the cosmos that you, the writer, created. By effectively communicating a valuable or entertaining message through the medium of a book, film or music, you might bring your customer to a universe of women’s fiction or into a puzzling story of mystery; to the work of a non-profit through an independently published film; or perhaps to the lyrics of powerful and emotive music. Secondarily, the objective when publishing a book or producing a film or music is to reach customers all over the world. That is now entirely possible and probable all through the power of internet selling and e-marketing! After years of evolution and revolution, the independent publishing universe is now a force to be reckoned with. Take a quick trip to the new world of publishing through this link http://bit.ly/oIkV2g. You will begin to understand what an historical time it is in the publishing world. The world of books no longer revolves around five or six giant publishing houses. It is an exciting and dynamic era in media.